Melbourne’s attractions are as unique and interesting as the city itself. 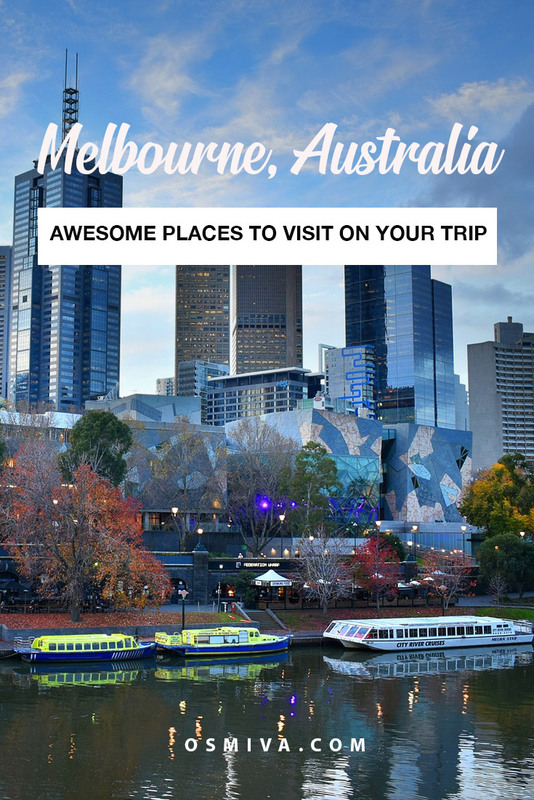 If you are here for a few days, these are the places to visit in Melbourne! Melbourne is Victoria’s most populous city as well as its capital. It is one of Australia’s most creative and exciting city. The city’s good climate, great infrastructure, stable political climate, good education are some of the reasons why it has been declared as the world’s most livable city for seven years in a row. Over the years, the city has attracted millions of visitors a year. It has been considered as one of the most popular destinations in Australia. And rightly so because it offers a wide range of activities not only for families but for solo travellers and backpackers as well. The city never fails to entertain tourists and locals alike with its fun and amazing Melbourne attractions. From world-class arts and cultural heritage institutions. A spread of the world’s great cuisines. Plus lively entertainment and amazing shopping centres… Streets bustling with energy and endless possibilities of fun and adventure. Melbourne definitely has it all. If you are in Australia, a day or two here is enough to give you a glimpse of what the city can offer. But if you stay longer, the endless opportunities for great and fun times are also assured. 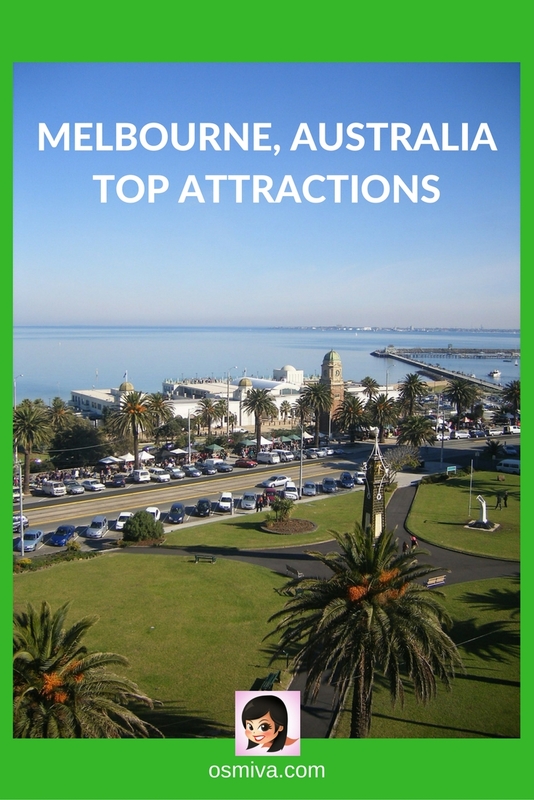 Our list of places to visit in Melbourne as well as Melbourne, Australia Top Attractions summarizes down some of the most visited spots in the city. Enjoy your visit by exploring its parks, gardens, historic architecture and more! Enjoy a walk down through Bourke Street and indulge on its Lanes, alleyways, little streets, arcades, cafe society and fascinating shops. For people who love to shop or window shop, the Bourke Street Mall is one strip in Melbourne that you should not miss. The mall links Swanston and Elizabeth streets and is only open to trams and pedestrians. Cook’s Cottage is one of Melbourne’s historical landmarks. It is the restored home of Captain James Cook. 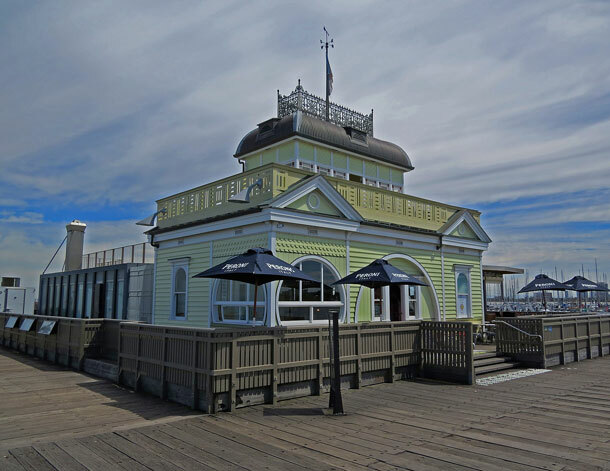 The cottage was once located in England before it was deconstructed and shipped to Australia in 1934. The building is a double-storey cottage with a traditional English cottage garden. 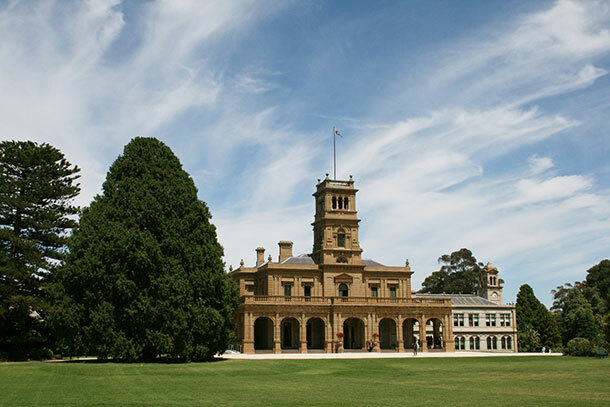 It is considered to be one of the oldest building in Australia, having been built originally in the year 1755. Once you visit you, you’ll be given fact sheets for a self-guided tour. Crown Entertainment Complex is one of the world’s largest entertainment complex that covers two city blocks. It sits on the banks of the Yarra River and is considered to be a mini-city in Melbourne. The Crown offers a wide variety of dining options, grandest ballroom, a multi-tiered auditorium for shows of world-class performers, hotels, casinos and other extensive facilities for guests with disabilities. Get in touch with mother nature with Dandenong Ranges and explore its secret fern glades, towering forests and eclectic villages. 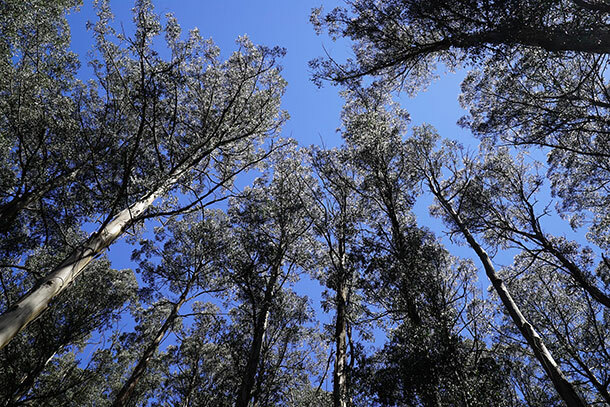 The Dandenong Ranges is a popular outdoor spot who wants a day with nature. If you are in the city, you can easily stay here for a day enjoying the activities. For people who want to stay the night, accommodations are also available for all types of budget. Opening Hours: Would vary depending on the events currently being held. Previously known as Telstra Dome and the Etihad Stadium, the Marvel Stadium is one of Australia’s leading multi-purpose venues. The building is designed to host major sporting and entertainment events. It has hosted several big international sporting events and concerts. It can also serve as function spaces for other events. 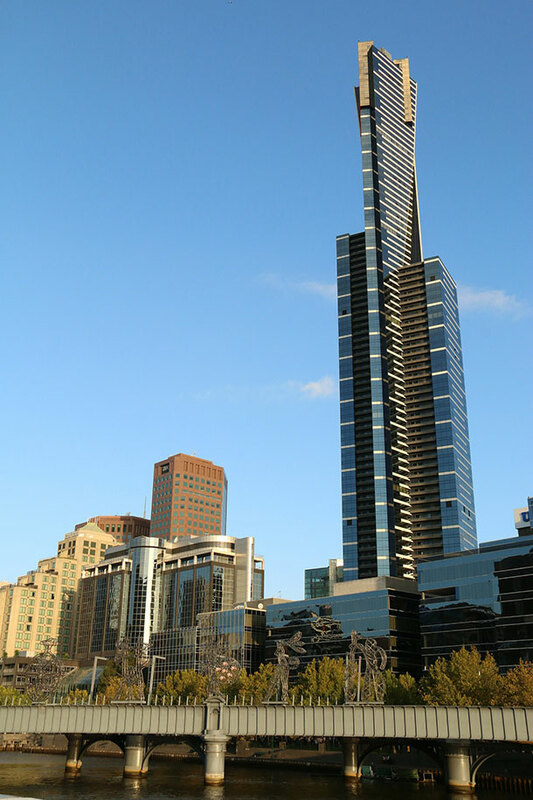 Eureka Skydeck is a 297.3-meter skyscraper tower that offers a spectacular view of Melbourne. Guests are given great views from its observation deck of the highest public vantage point in the Southern Hemisphere. The Skydeck also offers the Edge Experience which is a glass cube that projects out from the building with you inside. You can visit here anytime without advance booking. Time when the Bell Rings: 8 AM to 9 AM; 12:30 PM to 1:30 PM and 5 PM to 6 PM. The Federation Bells are 39 upturned bells cast in bronze alloys. They were created for celebrations of the centenary of Australia’s federation in 2001. The bells have more than 100 compositions created for it and many of these compositions can be heard weekly. Aside from the ringing of the bells, there are also shows that you can watch being performed here. Federation Square is a public square where people usually gather to chill out and have fun. The square is home to several cultural attractions, events, restaurants, bars and speciality stores. It is a popular tourist attraction with its cultural precinct and free WiFi. There are also guided tours available here for those who are interested to know about its history. Opening Hours: For information related to train arrival and departure times, access, timetables, platforms, fares and tickets, you may contact Metlink on 131 638. The Flinders Street Railway Station was opened in 1854. It is considered to be the oldest station in Australia. The station is one of Melbourne’s famous landmark. It is an institution that is included in the daily routine of many people. Often you’ll hear people say ‘meet me under the clocks’, which made the station one of the favourite places of the locals. 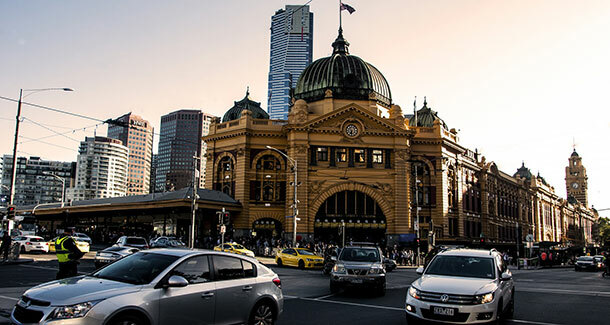 Flinders Street is considered to be one of the busiest suburban railways stations in the Southern Hemisphere. It has over 1500 trains and 110,000 commuters passing through every day. Opening Hours: Weekends, Public Holidays and School Holidays. For schedules, check their Luna Park website. 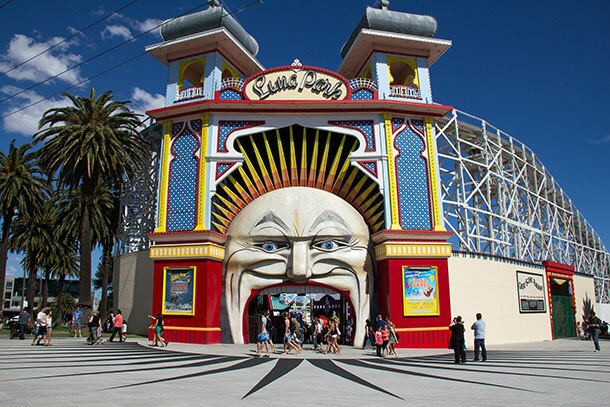 Luna Park in Melbourne is a great place to spend the day with family and friends. It is home to exciting rides and amusement for kids of all ages and entertainment for everyone. The park has been opened for over a hundred years. It is considered to be that face of fun in St Kilda. Aside from the fun rides, Luna Park also has functions rooms for hire that hosts parties, wedding and other events. For an entertaining and educational experience, a visit to the SEA LIFE Melbourne will guarantee you with that and more! The Aquarium is home to thousands of aquatic animal and has several shows and events to look forward to such as dive presentations, Penguin Passport, Fish Feeding and Shark Dive Xtreme. This is an experience you’d love to share with kids and even adults who love the sea! The Melbourne Cricket Ground or MCG is an Australian sports stadium. It is home to the Melbourne Cricket Club. It is the largest, oldest and most popular sporting venue in Australia. Aside from being the home to the Cricket sport, MCG is also rich in history. It was established in 1853 and has been the home of the Australian football since 1859. Guests are given opportunities to explore the stadium through guided tours. The National Sports Museum can also be found here for those sports-lovers out there. Opening Hours: Open 24/7. But opening hours of establishments around it varies. 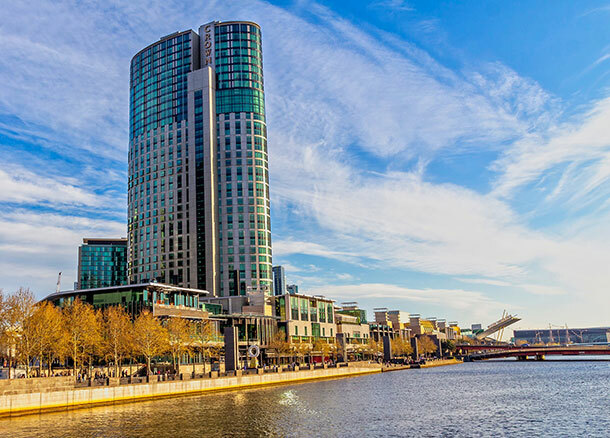 The Melbourne Docklands offers a wide variety of entertainment and events for all. From arts to sports and culture, everyone will surely enjoy visiting the Docklands with friends and family. 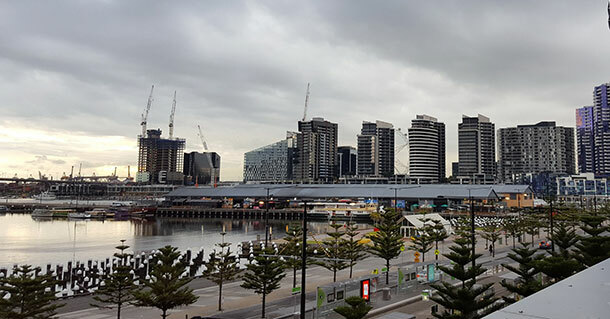 The Docklands is close to the city’s main transportation and is home to the Marvel Stadium and other modern and popular buildings and public spaces. Get to know the state of Victoria in the award-winning Melbourne Museum. The museum offers amazing collection in its eight galleries including its complete skeleton of a blue whale, the Bunjilaka Aboriginal Cultural Center and IMAX theatre. Aside from the exhibits, there are also events that are being held here depending on the season. Examples are School Holiday Activities and Nocturnal X Wat. The Melbourne Zoo is Australia’s oldest zoo and was opened in the year 1862. The zoo is home to over 320 animal species from Australia and around the world. Zoo highlights include Growing Wild, Keeper Kids, Butterfly House and Trail of the Elephants. The Zoo also has several events provided to the guests depending on the season. Examples are the Neon Playground and Dino Park. Be sure to inquire first so as not to miss new activities being offered! Popularly known as the NGV, the National Gallery of Victoria is an art museum. It is considered to be the oldest public art museum in Australia. The museum’s collection includes Indigenous (Australian Aboriginal) art, Australian colonial painting and Australian Impressionist painting. They also host several events for guests. Don’t forget to check out their page for the schedule. Opening Hours: Tuesday and Thursday to Sunday. Time depends on the trading hours. Queen Victoria Market is the largest open-air market in the Southern Hemisphere. 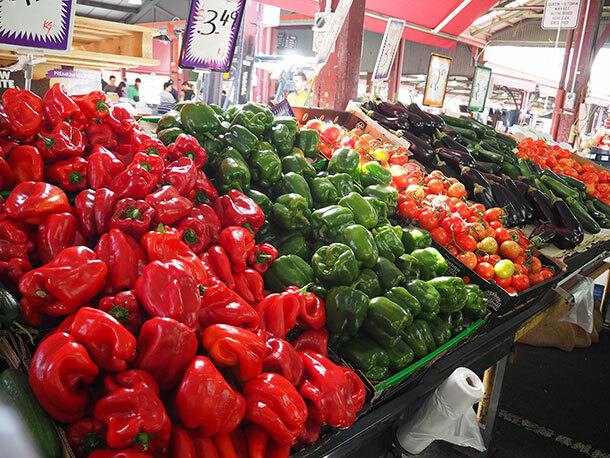 The Market (also known as Queen Vic Markets or Queen Vic), is a major landmark in Melbourne. It has become a major tourist destination with its wide variety of stalls and shops. 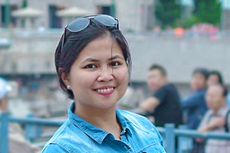 Aside from the shops, there are food tours that you can also avail for a fee. Melbourne’s Royal Botanic Gardens is an internationally renowned botanical garden. It boasts of 38 hectares of beautifully landscaped gardens. The garden hosts over 10,000 floral species, the majority being non-native species. Spend a day here with your kids to learn about plants and the interesting species that the garden is home to. 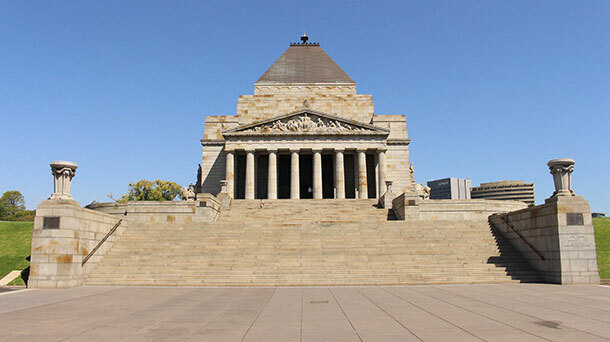 The Shrine of Remembrance is a historical landmark in Melbourne. It was built as a memorial for the men and women of Australia who served the war. The Shrine is also home to numerous exhibits as well as several events like talk for history-buffs. Opening Hours: Open 24/7. Opening Hours of establishment vary depending on the establishment. St. Kilda Beach is Melbourne’s most famous beach. It is a sandy beach that is about 700 meters long. Recreational activities such as windsurfing, sailing, kite surfing, rollerblading can be done here aside from the usual swimming and sunbathing. You can also visit Luna Park, Eildon Gallery and other fun and interesting establishments. But if chilling and relaxing are all you need, there are plenty of places to have a stroll here. Plus great places to dine too. The cathedral church of the Roman Catholic Archdiocese of Melbourne is the St. Patrick’s Cathedral. It is considered to be the tallest and largest church building in Australia. The church is famous for its Gothic Revival style of architecture. St. Patrick’s Cathedral is also a favoured setting for concerts of sacred music. St. Paul’s Cathedral is a major landmark in Melbourne with its Gothic transitional design of architecture. It is also the metropolitical and cathedral church of the Anglican Diocese of Melbourne. The Cathedral is open for pilgrims and visitors both for worship and visits. The State Library of Victoria is the central library of the state of Victoria. It also houses the original armour of Ned Kelly – Irish Australian bushranger. 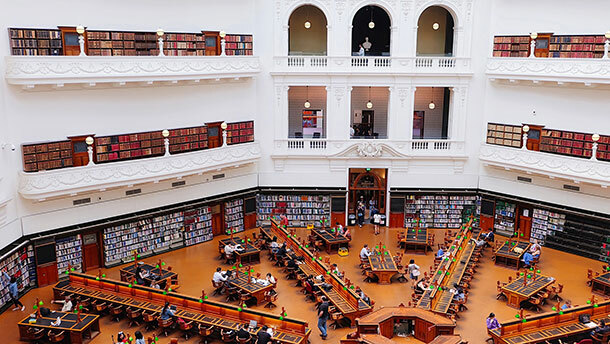 The State Library is a cultural icon and a famous Melbourne landmark. Its 19th-century interior is considered to be one of the most beautiful heritage interiors in the city. The State Library holds over 2 million books, 16,000 serials, and many more. Aside from the book collections, there are several artworks and exhibits that you can enjoy here too. Opening Hours: Opening Hour depends on the season. You can check out their opening times. The Werribee Mansion is a Melbourne attraction with 10 hectares of formal gardens. It is located at the Werribee Park in Melbourne. The Mansion is often described as a living postcard of the 19th century Australia. Highlights of the mansion include a parterre, pond and original grotto. Interested to know more about this amazing city? 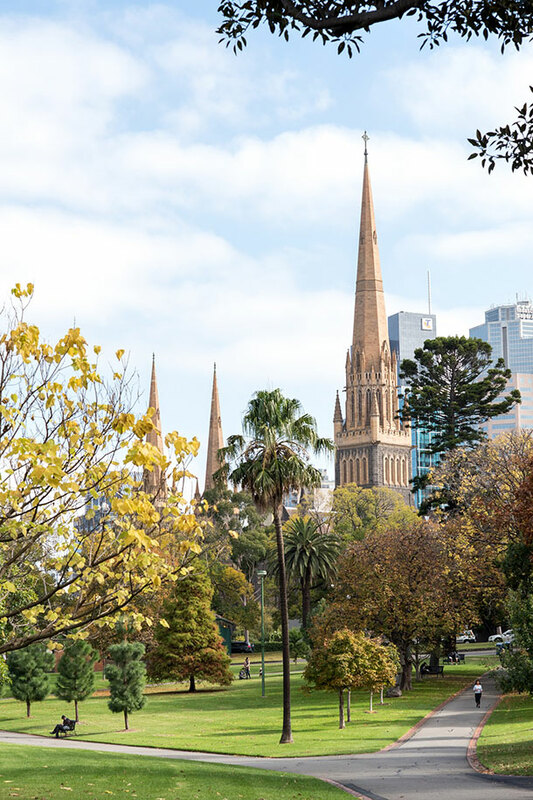 Get to know Melbourne’s historical landmarks to understand its history and its people. Melbourne, Australia is indeed a wonderful place to visit..